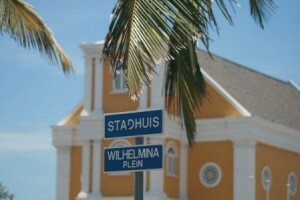 WILLEMSTAD, PHILIPSBURG - For reasons of public interest and based on the Civil Code of Sint Maarten, the Public Prosecutor’s Office is authorized to submit a request to the Common Court of Justice of Aruba, Curacao, Sint Maarten and Bonaire, Sint Eustatius & Saba to investigate the policies and course of affairs of any legal entity in Sint Maarten. Such an inquiry may extend to the policies and course of affairs of other, closely linked legal entities. Within this scope, the Public Prosecutor’s Office may obtain information regarding the policies of the legal entity and the course of its affairs. The legal entity is obliged to provide the information requested and also to grant inspection of its books, documents and other data carriers should this be required. By letter dated July 13, 2015 the Public Prosecutor’s Office has requested information regarding the policies and course of affairs from the Sint Maarten Harbour Holding NV and from its closely linked companies. This action was prompted by claims from society, including the report Integrity Inquiry into the functioning of the Government of Sint Maarten that was produced in 2014 by PriceWaterhouseCoopers (US) International by order of the Governor of Sint Maarten and the final report Doing the right things right that was produced also in 2014 by de Commissie Integer Openbaar Bestuur by order of the government of Sint Maarten. As yet, the investigation concerns the corporate governance of the port authority in a broad sense and addresses issues, amongst others, about compliance with the law, compliance with the statutes, transparency, and some specific issues, including the course of affairs with regard to the construction of the Simpson Bay Causeway. It is a civil proceeding and is therefore not a criminal investigation.